(LAS VEGAS -July 1, 2015) The International Parking Institute (IPI) recognized 16 outstanding marketing and communications programs in the parking sector during the 2015 IPI Conference & Expo in Las Vegas today. In its second year, the Parking Matters® Marketing and Communications Awards are designed to recognize outstanding parking-related marketing, public relations, or communications programs and campaigns. Eligible programs use a wide spectrum of marketing tools, from advertising and public relations to collateral development, signage, special events, direct mail, video, and social media. 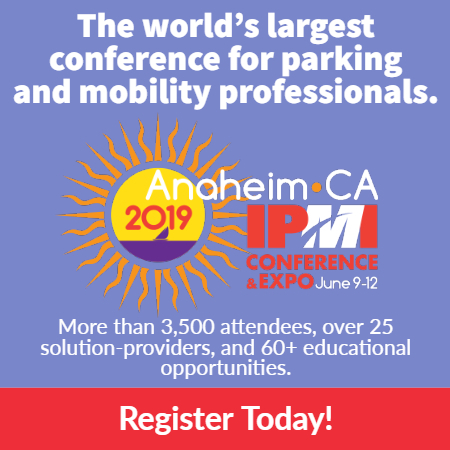 Judges from IPI’s Parking Matters Committee look for campaigns that help foster understanding of the importance of parking, knowledge and trends in parking, or awareness of parking best practices. The Parking Matters Marketing & Communications Awards will continue in 2016, with a call for entries being issued in fall 2015.